At Pacific Material Handling Solutions, we specialize in complete turnkey solutions for all of your warehousing needs. With extensive experience and industry knowledge, we are able to handle any challenge – regardless of size, sector, or timeline. Running out of space? Looking to increase your warehouse’s density? Let our staff help you maximize limited real estate in your warehouse. We carry a range of options to help you optimize your current floor plan, whether you need standard, narrow, or very narrow storage solutions. Our team can also use CAD layout technology to help you discover unused space you never knew you had. Don’t let idle inventory or unused capacity continue limiting your growth. 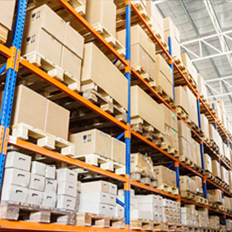 We’ll ensure that every inch of warehousing space positively impacts your bottom line. Looking for innovative dock solutions? At Pacific Material Handling Solutions, we partner with leading manufacturers of dock levelers, dock seals, and high-speed doors. Moreover, our experts can assist with product options, customization, and even installation. 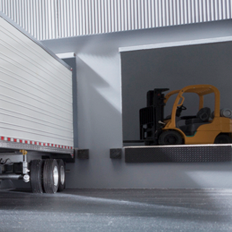 With our help, you’ll be able to move more freight in a fraction of the time. Click on the link below to learn how these solutions can help boost productivity and reduce operating expenses. Fatigue is one of the primary sources of warehouse-related injuries, errors, and accidents. But why place undue stress on your team when you don’t have to? By investing in ergonomic warehouse equipment, you can eliminate unnecessary strain and help your staff work more productively. 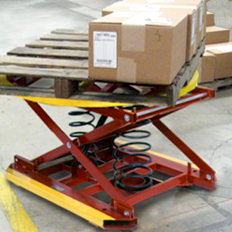 Our selection of ergonomic warehousing solutions includes everything from load positioners to scissor tables to adjustable work stations. Sometimes you don’t need heavy machinery when simpler tools will do the job. That’s why we offer a large range of handheld warehouse equipment to help your team meet tight deadlines and move inventory with ease. 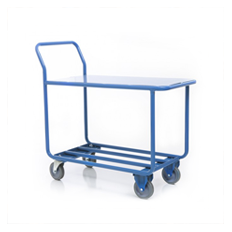 At Pacific Material Handling Solutions, we carry everything from hand trucks and dollies to pallet jacks and service carts. At Pacific Material Handling Solutions, we carry a huge range of aerial lifts designed to move bulkier or heavier inventory with ease. 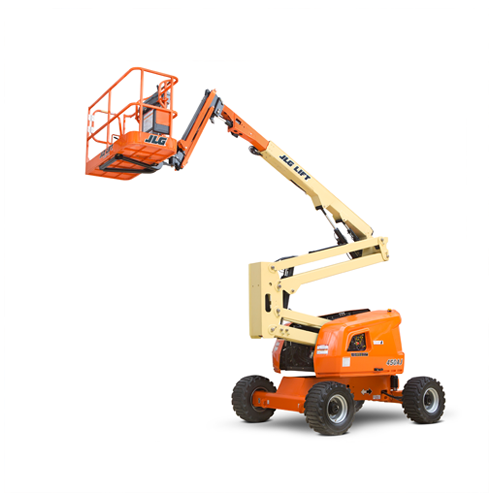 Choose between our wide selection of high-powered, pneumatic lifts manufactured by leading brands like Genie, JLG, and Skyjack. No job is too large for these industry workhorses. Spills and debris aren’t simply unsightly. They’re also expensive once you factor in decreased productivity, health & safety risks, errors & redundancies, and lost or damaged inventory. But you can reduce these inefficiencies by keeping your warehouse clean. 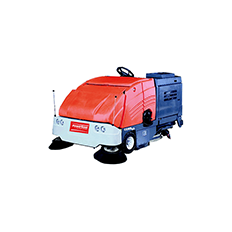 To learn how Pacific Material Handling Solutions can help, check out our exclusive line of PowerBoss sweepers and scrubbers. Looking for Other Warehouse Solutions? As the industry’s leading provider of affordable warehouse solutions, our selection and pricing are unmatched. And if you’re looking for something that isn’t on the list above, our experts can custom design a solution for you. To learn more about our complete line of manufactured and customized warehouse products, schedule a free consultation with the Pacific Material Handling Solutions team today.